Yes, but do they have 5 star hearts? Yep. I feel good about our class, but then you look at Georgia and Alabama's classes and realize they just keep widening the gap on talent. But honestly I'm not even worried about them right now. Right now I just want to see us get back to beating South Carolina, Mizzou, Kentucky, and Vanderbilt on a regular basis. We have GOT to start winning November again! Once we start doing that, along with winning our non conference games. then I'll worry about GA, FL, and AL. 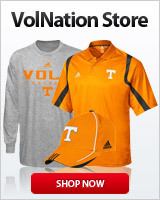 Now MAYBE...Tennessee can give Vandy a tough game? I hope I’m wrong...but either way I still think an in state, highly rated, highly pursued, EE that wanted to be here should have been a take over Middleton..
Middleton is from Oak Ridge. So he's a TN boy. School hasn't been his strongest occupation in life, but the kid hasn't given up on his potential. He's had a tough road. He's 6'7 300 lbs and not even gotten serious about lifting, yet. That's a good or bad thing depending on how you want to look at it. All the same, I wish Anderson were still part part of the class too. I gotta say the class pulled in this year is encouraging, as some immediate needs appear to have been filled (*on paper, we'll see how they pan out on the field) as well as the next line of quality talent to coach up and to replace the normal yearly graduation/draft attrition. Echoing what some others have said, if Pruitt and staff can pull in this kind of a haul coming off a 5-7 year, I'm eager to see what the future holds for the Vols. Some folks aren’t good at reading comprehension. Final ESPN ranking is Tennessee 11 on 22 recruits. I really like this class. Two things that makes me feel that way. Number one is the fact that I feel like we are in good hands with CJP and crew. CPF as well. Second is the fact that we upgraded in positions of need. Icing on the cake is the fact that UF, GA, and Ala, are looking over their shoulder at us and sweating. We're coming. Niedermeyer needs a big fat juicy raise! Seeing that the O-line was a priority was definitely a great step in the right direction, but the other transfers will also raise our overall talent level on not just the line. If CJP and company can develop talent as well as they can recruit we are moving in the direction of conference relevance again. I don't wanna get too excited yet ( I see life through orange tinted lenses a little too often) but this makes me excited to see the level of play and the talent increase pay dividends on the field in 2019 even if the win total is not as high as I would like when the dust settles on 2019. Here is to a surprising (and admittedly optimistic) 8 win season full of hopefully close games when we take L's. reading comprehension... look into it. Wanya and Darnell are the only composite 5*'s. but To'oto'o and Crouch were both 5*'s at one point. not sure why HT dropped. Crouch had the foot injury early in his sr. year, so they dropped him. They are 2 volcano + 1 tsunami guys now. 247 owns Scout, which has the recruiting class rankings that lists us at #9. Here is the full breakdown. Not sure those are the final rankings; there are several players on quite a few teams that haven't even been added yet... that's typical for ESPN recruiting, who often takes a few days to update. No they are still updating.